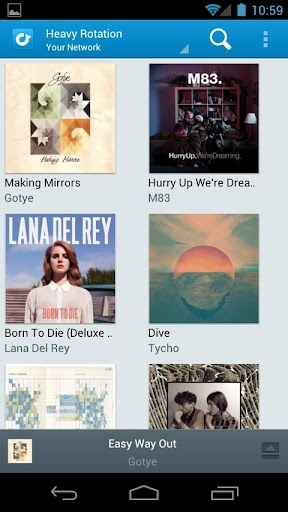 Rdio app for Android gets major update | Android Blast! Music streaming service Rdio has updated their Android app, adding support for Ice Cream Sandwich, and giving the app a new interface and paint job. The new interface is easy to use and easier on the eyes. New features have been added with some of the functionality of the desktop client. Rdio has added the ability to view user profiles, improved search capabilities, added top charts, recommendations and new releases. The Rdio app is a free download from the Android Market at the link below.